Ever sat and wondered how to get into those once loved coveted jeans that never failed to flatter in those good old college days? Every one of us craves a great body shape but freak out because of the extensive slimming programs and hard to follow diets. Well, the safest bets and definitely the easiest ones would be to stick to a natural and delicious fruits diet. 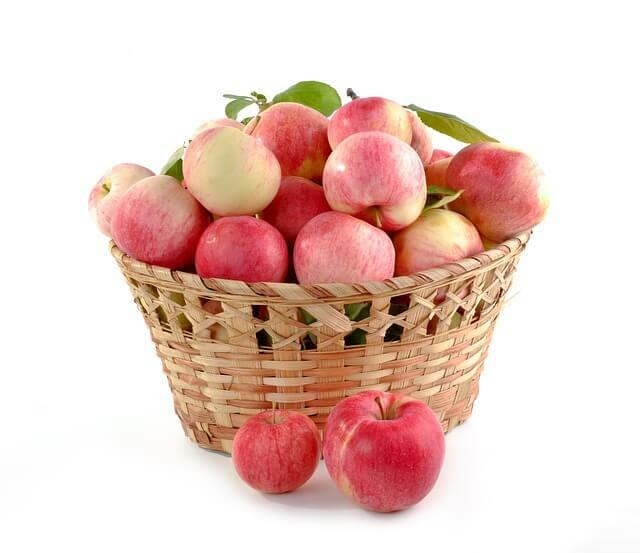 Slimming Fruits are indeed power houses of health delivered to us in a package of deliciousness. So what’s the bonus? It also gives you healthier skin and shinier hair. Though all fruits are beneficial, there are still a few that turn the body into a fat burning machine. Check out my list of these delicious natural weight loss fruits that will slim you down. Known in ancient times as the Queen’s snack. It’s fiber content also keeps you fuller for longer. Scientists put blueberries under the category of ‘superfood’.These little gems get rid of the nasty toxins that can put the weight on. I usually pick up a handful from the fridge & snack on them when the “got to munch on something ” bug bites! Another star of the lot. This tropical fruit not only eats away fat but also boosts the immune system. With my latest find about this miraculous fruit, I keep slices of it ready for my 3-year-old as a cure for a cough and cold. 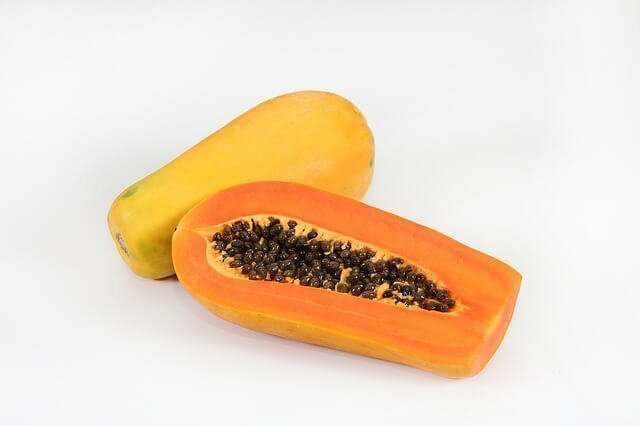 “Pick up a Papaya as a 4’o’clock snack and you will benefit from it’s enzyme – papain that helps food move quickly through the intestine thus speeding up weight loss”, say nutritionists. 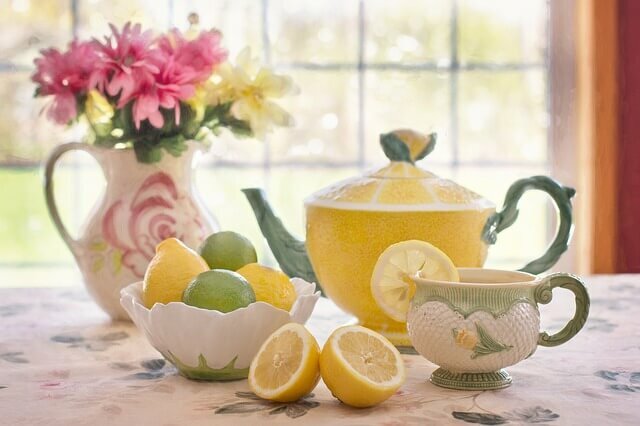 Known as nature’s detox angles, a squeeze of lemon in a glass of water taken first thing in the morning helps the body to get rid of accumulated toxins that aid in faster weight loss. Loaded with vitamin ‘C, they also give the skin a shine to behold! While there are a zillion other things that aid weight loss, fruits are always the easiest and safest bets to stick to. Do include these heroes of multitasking in your diet plan and don’t forget to share your experiences in the comments box below. The credibility of this post really increases when it is authenticated by doctors. Thank you. It is so simple…..Its time to get my hands on them…. Hello Juveria! High time I would say. Developing a habit for munching on fruits is great. These are all great to include in your daily diet. I need to eat more fresh fruits and veggies like these. I have to say it has been a long time since I had fresh papaya. Hello Marysa! Fresh papaya is actually a fat burner! Do include this sweet fruit in your diet. Hello Rebecca! Try Papaya too. It’s a fat burner. I’ve never had papaya! I need to check it out! Hi Laura! Do check it out. It’s better to eat and burn fat rather than go on hunger strikes while trying to do so. Do try to include this fruit in your diet. You’ll not regret it. We always keep blueberries on hand in our house, too. Perfect little snack to just grab—for us and the kiddos! Hi Kaity! Great you have these gems. They are a favourite among all kids. Hello! If you are eating a pineapple everyday then you will be rewarded with a great body soon. Stay the good habit. I am also commenting to make you be aware of what a nice encounter my cousin’s girl enjoyed visiting the blog. She came to find numerous details, including what it’s like to have an amazing coaching mindset to get others smoothly learn a number of multifaceted matters. You undoubtedly did more than my expectations. Many thanks for offering these precious, healthy, explanatory not to mention fun thoughts on this topic to Julie. Thanks Marty. So glad Julie enjoyed the post. Somebody essentially assist to make significantly articles I might state. This is the very first time I frequented your web page and so far? I surprised with the analysis you made to create this actual submit amazing. Fantastic process! Hi Jacquelynn! I use Yoast plugin for my SEO. I t is by far the easiest to use and does great too. As far as ranking is concerned you get it with time. You need good content with good SEO and backlinks to sites with authority. If your site is new, then you might allow yourself some time before it picks up speed. Hope this helps. Thank you for sharing excellent informations. Your website is so cool. I am impressed by the details that you’ve on this site. It reveals how nicely you perceive this subject. Bookmarked this website page, will come back for extra articles. You, my pal, ROCK! I found just the information I already searched all over the place and simply couldn’t come across. What an ideal website. Hi there, i read your blog from time to time and i own a similar one and i was just wondering if you get a lot of spam feedback? If so how do you prevent it, any plugin or anything you can advise? I get so much lately it’s driving me insane so any support is very much appreciated. You’re totally right and I definitely trust you. When you want, we could as well speak regarding mini bluetooth speaker, something which fascinates me. The site is definitely great, regards! My friends and I certainly adore your website and find nearly all of your posts to be what precisely I’m in need of. Do you offer other people to create material for you? I wouldn’t mind publishing an article relating to garageband app free or possibly on most of the topics you write about on this website. Again, awesome website! I came over here from some other website about homework help online and thought I should look into this. I enjoy what I see so I am just following you. Getting excited about checking out the website yet again. Thanks a lot for writing the idea, I bookmarked the site. I’m also in need of information regarding aadhar card status enquiry phone number, do you know exactly where I can discover one thing such as that? I will be back very soon! It was actually wonderful reading this article and I believe you’re entirely correct. Let me know in the event that you’re thinking about download garageband free, that’s my primary competence. Hope to hear from you soon, take good care! Thank you so much for this superb write-up! I definitely liked finding out about it.I will be sure to bookmark this website and definitely will return later on. I want to encourage you to ultimately keep going with the good writing, even blog about best medical negligence lawyers too, have a good afternoon! Spot on with this write-up, I really assume this web site wants way more consideration. I’ll in all probability be again to read way more, thanks for that info. Thank you so much Chelsea. Thanks for appreciating. Many more posts are on the way. Hi and thanks for this terrific posting! I actually appreciated learning about.I will be sure to bookmark this page and will come back from now on. I would love to suggest you to continue the excellent writing, possibly discuss omega xl capsules also, have a fantastic morning! Hi there! I just noticed your site and I certainly enjoy it. Good to be here, thanks! I have been surfing on-line for more than three hours nowadays, yet, I by no means discovered an interesting article like yours. It’s lovely value is sufficient for me. In my view, if all website owners and bloggers made just right content as you probably did, the internet might be much more helpful than ever before. “Oh, that way madness lies let me shun that.” by William Shakespeare. 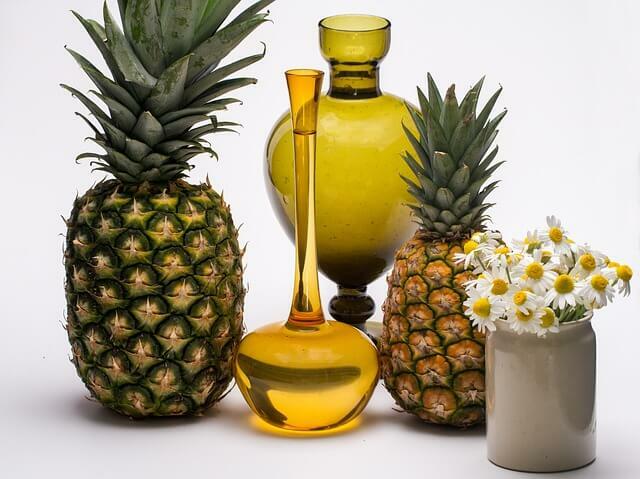 Good to know about pineapple! I always thought it had a super high sugar content and wasn’t good if you were trying to slim down. Hi Jill! Pineapple is actually a fat burner. Do give it a try next time. 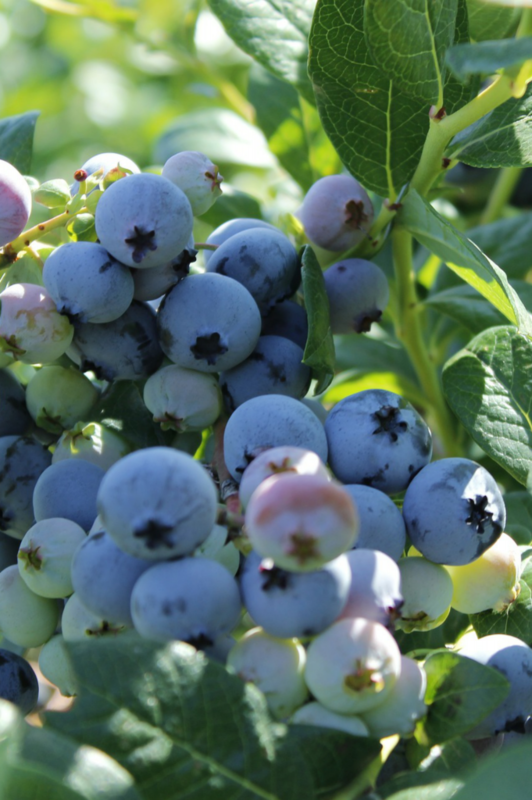 I knew about apple and blueberries – time to add even more vitamins to the day! First of all I want to say excellent blog! I had a quick question in which I’d like to ask if you do not mind. I was curious to know how you center yourself and clear your head prior to writing. I’ve had a difficult time clearing my thoughts in getting my ideas out there. I do take pleasure in writing but it just seems like the first 10 to 15 minutes are usually lost just trying to figure out how to begin. Any recommendations or hints? Kudos! I like what you guys tend to be up too. This type of clever work and exposure! Keep up the fantastic works guys I’ve incorporated you guys to blogroll. Hmm it seems like your site ate my first comment (it was super long) so I guess I’ll just sum it up what I had written and say, I’m thoroughly enjoying your blog. I too am an aspiring blog writer but I’m still new to the whole thing. Do you have any suggestions for inexperienced blog writers? I’d certainly appreciate it. I wanted to develop a note to express gratitude to you for these lovely instructions you are placing on this website. My extensive internet lookup has at the end been recognized with good quality suggestions to talk about with my relatives. I would tell you that most of us website visitors actually are really endowed to dwell in a fine website with so many awesome professionals with great strategies. I feel truly grateful to have used your weblog and look forward to really more enjoyable times reading here. Thanks once more for a lot of things. I am new to running a blog and I really appreciate your information. This posting has truly spurred my interest. I am going to book mark your page and keep monitoring for new information.